Room Dividers – what are they and how can they improve your home? Adaptable space in the home is so important, especially when aiming for the right mix of natural light, good ventilation and privacy. With room dividers, you can turntwo of your rooms into one which can be ideal for those situations when need extra space for a large family gathering, or you need to watch the kids as you cook dinner. The home improvement market is full of solutions to divide your rooms, so what are the best options for versatility and quality without paying over the odds? frames of our sliding folding doors which makes opening and closing smooth and straightforward, with strong stability. Our concertina-style doors are high quality timber and each door is the same width to offer the largest clear opening possible. All of our configurations can be slid back to the room’s edges, but there’s also the choice of using a single panel to provide daily access. On top of that, you can choose different finishing and glazing styles to match your home decor. So what are these finishing and glazing styles? You can opt for dividers with glass panels which increases natural light flow even when closed, which adds an airy, spacious feel to a modern home. Full panels are available if you prefer a more traditional approach, or compromise with a decorative inlay or bar detailing for a unique look. With the style of finishing, there’s a vast range of contemporary and traditional options to select from; oak is a trendy choice for those with a taste for luxury. Alternatively, choose a fresh white primed divider ready for you to paint the colour of your choice. Are there any other choices apart from bi-fold doors? 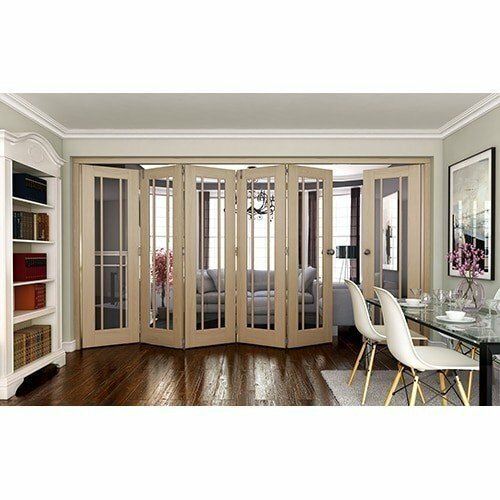 Yes – paired doors are another great way of transforming your living space and creating an open plan area with either an existing or new opening. 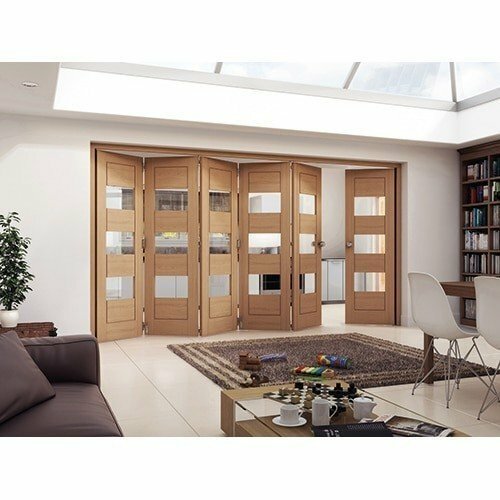 You can hang any two doors together, offering the same advantages as the bi-fold doors, which can work with homes of any age and style. With these, you also have the option of a pair maker, also known as a decorative T piece, which can be fitted to the inside edge of one door to give an even more special look when the doors are closed, covering the gap in the middle.